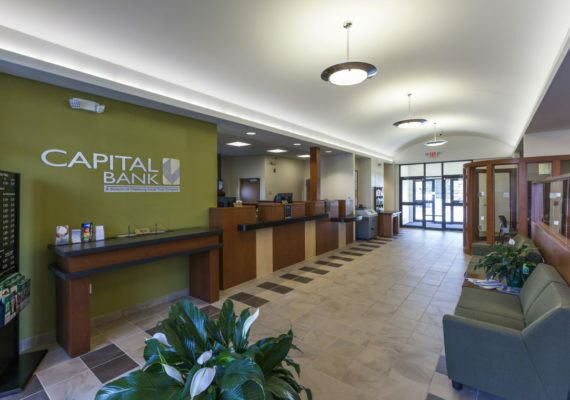 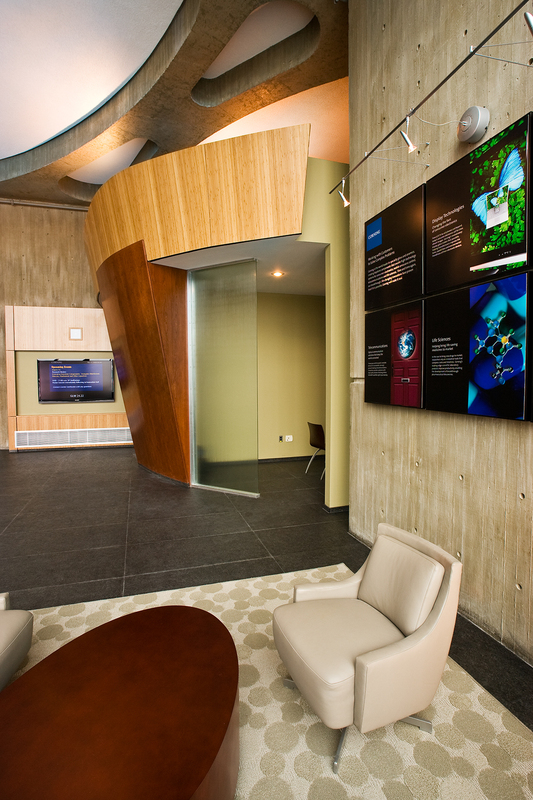 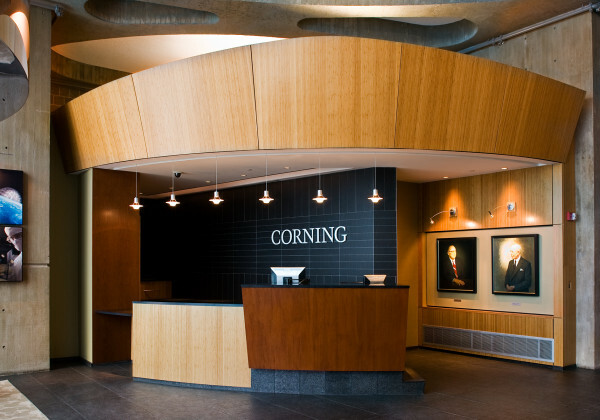 Corning Incorporated wanted to update the interior design of the main lobby of the Sullivan Park, Research and Development Building. 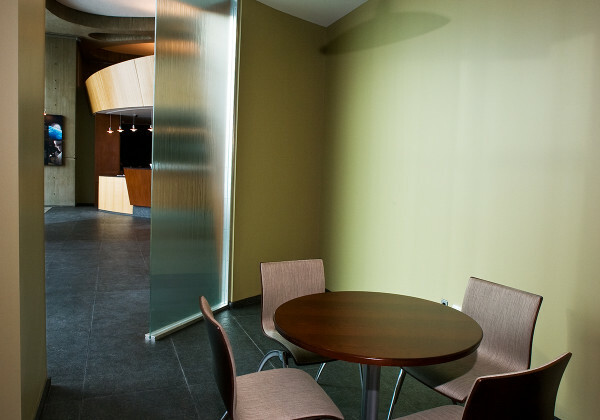 This project required completely removing the existing furniture systems, granite floor and walls. 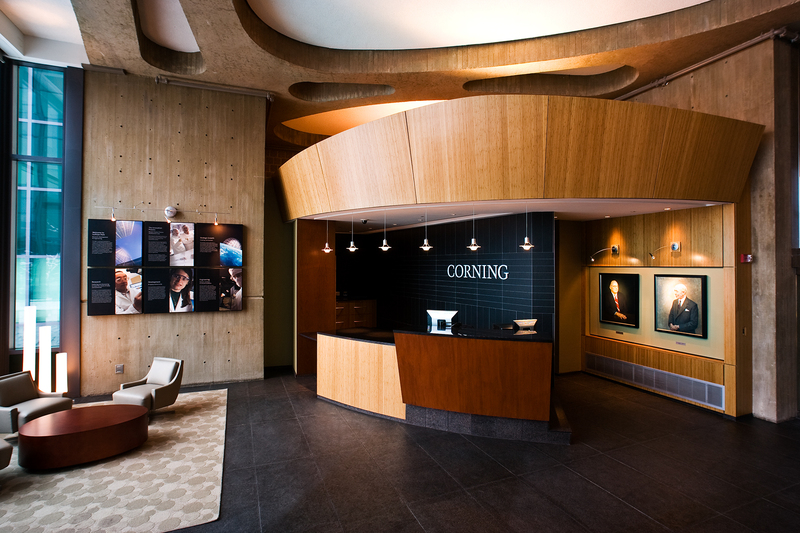 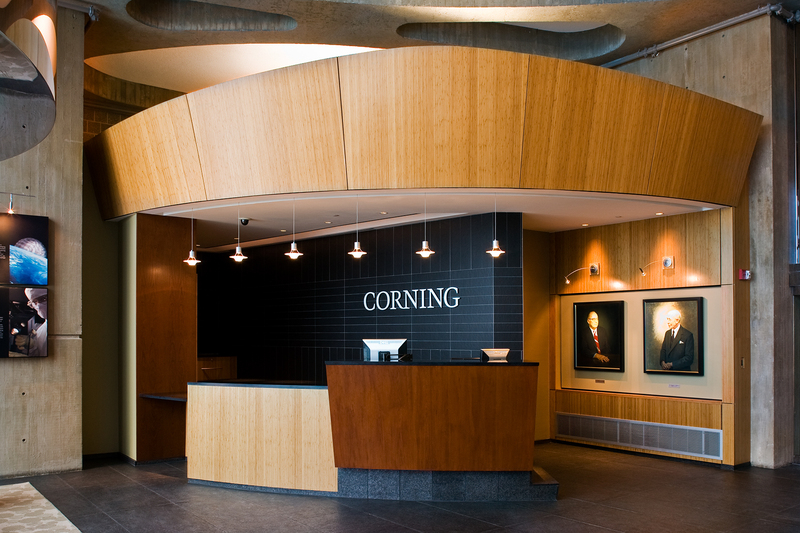 Corning desired to make this space more inviting to the many visitors and guests that visit this facility. 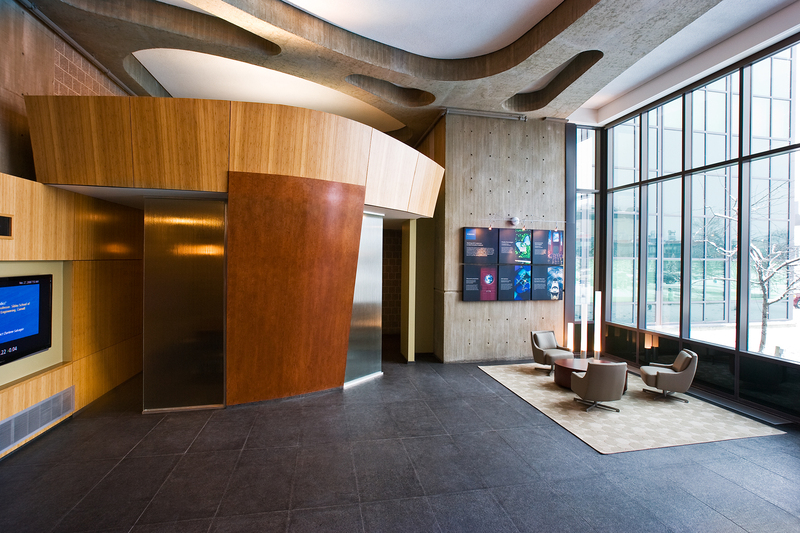 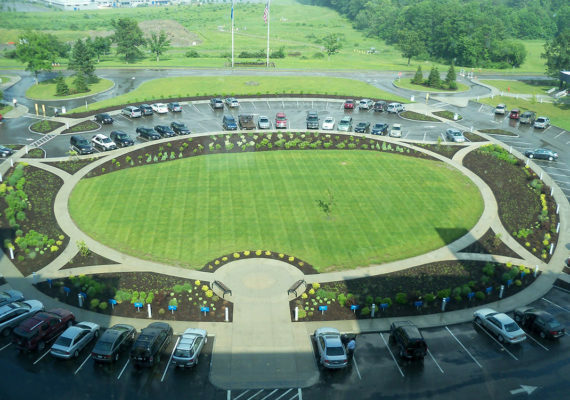 The 2600 square-foot entry lobby is organized around two curving shapes framing the main entry door to the facility. 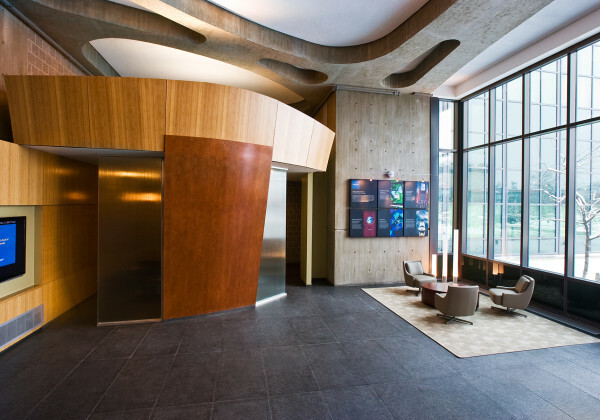 These sculptural elements establish a visual point of orientation, housing the reception desk, storage, accessible toilet room and meeting rooms. The curved walls are lined with bamboo paneled walls punctuated with a cherry veneered wall. 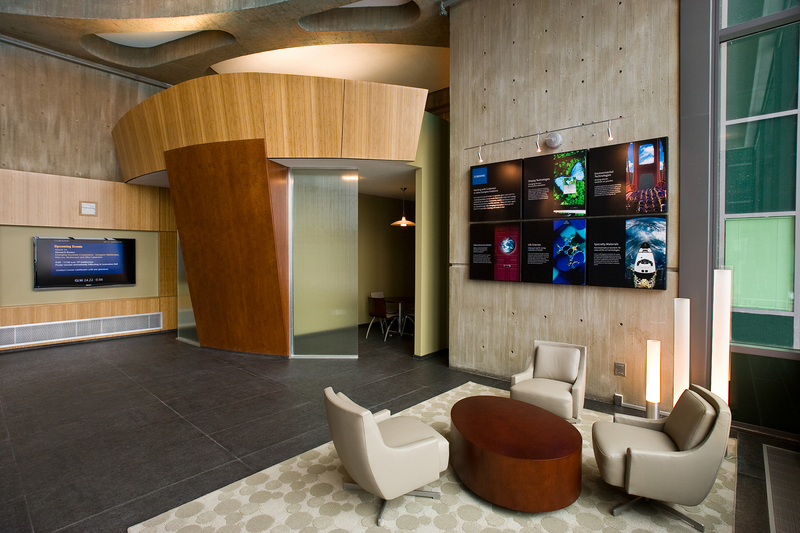 These elements provides a warm counterpoint to the concrete ,steel, glass and granite flooring that surround it. 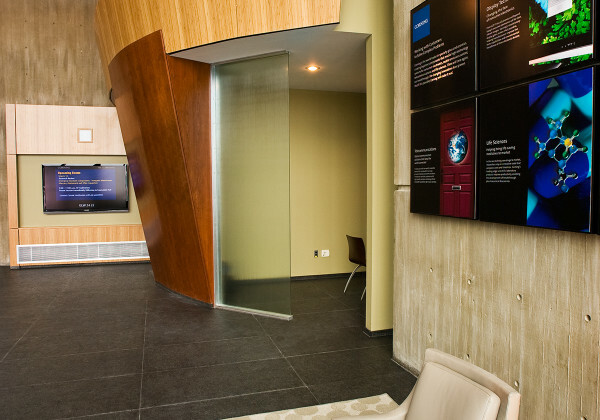 The reception desk, LCD cabinet enclosure were designed by the architect and custom fabricated. 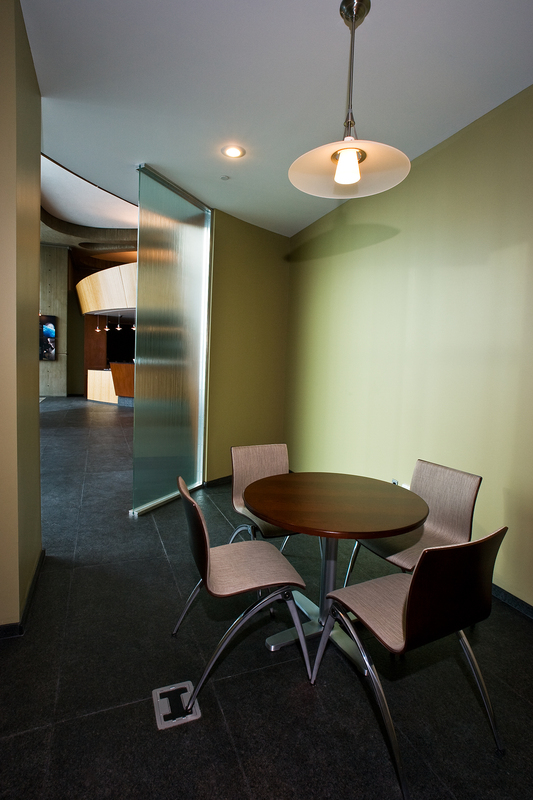 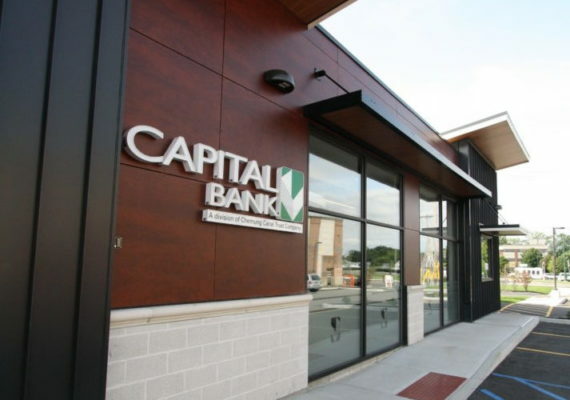 This project was designed utilizing green materials and products, energy efficient and LED light fixtures.